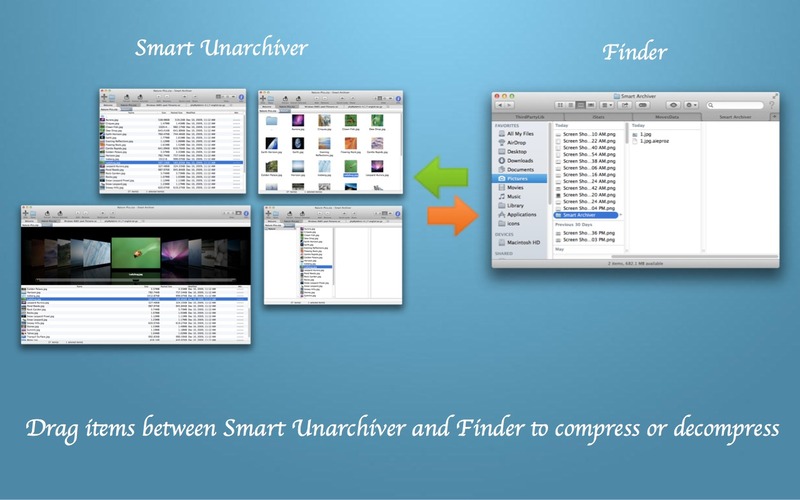 Smart Unarchiver -- A professional, fast and easy-to-use decompressing software. · LZH, LZMA, MBR, MSI, NSIS, NTFS, RPM, SquashFS, UDF, VHD, WIM, XAR and Z. 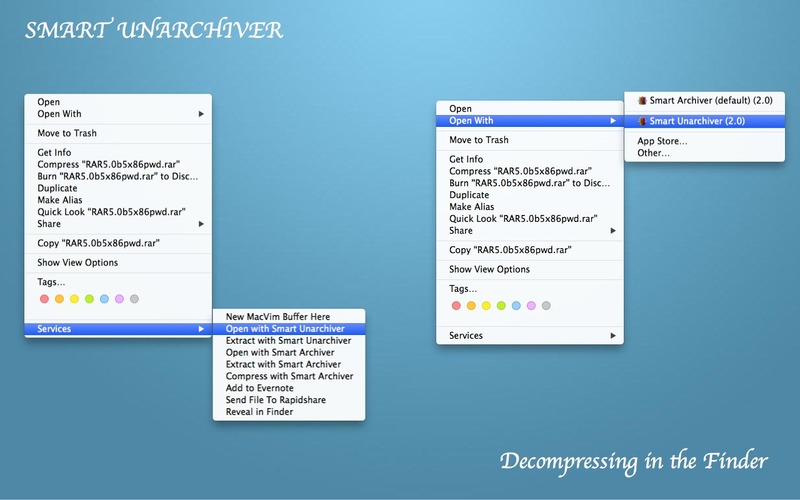 － Open an archive and press 'space' key to preview image, text, etc. 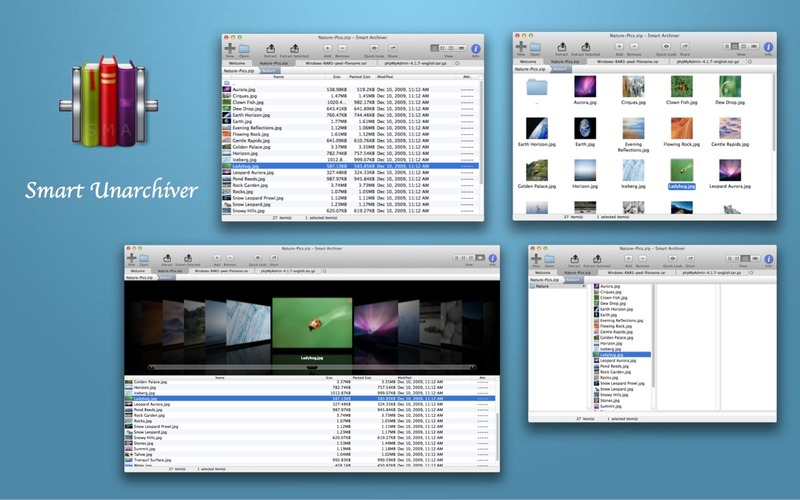 － To save time, you can extract only the selected files. 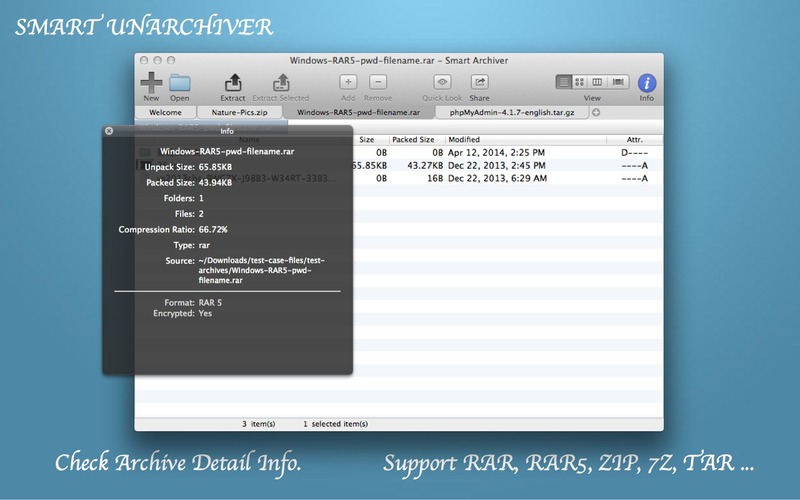 － Drag items from Smart Unarchiver to Finder to extract. － Double click an item to open it with default application.